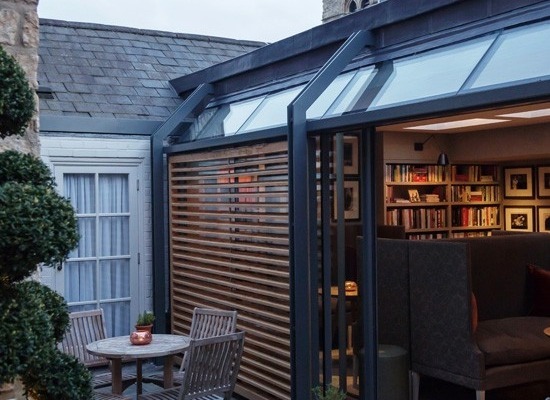 For the exclusive use of our guests, the Library on the first floor is a modern, intimate space with glass sliding doors opening onto a private courtyard terrace. A carefully curated collection of books will inspire & entertain, and includes a section on art, literature, culture & politics, Oxford & its history. Relax amongst a specially commissioned collection of Paddy Summerfield’s black and white photographs of 1960’s Oxford. "...charming, from the very old fireplace by the entrance, to the bright and well-stocked library that is perfect for a rainy afternoon..."